ROB SPILLMAN is the co-founding editor of Tin House and the author of the memoir All Tomorrow’s Parties. ANNABEL GRAHAM is a writer, photographer and filmmaker. Her fiction, essays, poetry and journalism have appeared in Joyland, CutBank, Cosmonauts Avenue, Corium Magazine, Atticus Review, Surface Magazine and RETRO, a print anthology by Joyland, among others. Her photographs have appeared in Bullett Magazine, CLES, Autre, and Le Nouvel Obs, and have been exhibited at the Los Angeles Center of Photography. She is the writer and director of the 2016 award-winning short film The Ravine, and she currently serves as assistant fiction editor of No Tokens, as well as contributing editor at Autre Magazine and contributing writer at Malibu Magazine. She is also currently pursuing her MFA in Fiction at NYU. Born and raised in Malibu, California, she lives in Brooklyn. MELISSA RAGSLY is an Associate Editor for A Public Space and work has appeared or forthcoming in Best American Nonrequired Reading 2017, Epiphany, Green Mountains Review, Joyland, Cosmonauts Avenue and Split Lip. KYLE LUCIA WU is the co-publisher of Joyland and the programs and communications manager at Kundiman. She is an Asian American Writers Workshop Margins Fellow and has an MFA in fiction from The New School. Her work has appeared in Literary Hub, Guernica, Electric Literature, Vol 1 Brooklyn, and elsewhere. TIN HOUSE is an 18-year-old literary magazine based in Brooklyn and Portland, Oregon. Tin House also publishes 12-18 books per year and runs summer and winter workshops. Since 2008 JOYLAND has featured work from National Book Critics Circle winner Jonathan Lethem, Pulitzer finalist Lydia Millet, PEN/Faulkner finalist Amelia Gray, Giller Prize shortlisted author Marina Endicott and Giller winner Lynn Coady, Plimpton Prize winner Ottessa Moshfegh, Guggenheim Fellows Lynne Tillman and Terese Svoboda, Lambda Award winner Zoe Whittall, and Believer Book Award winners Tamara Faith Berger and Sesshu Foster. Several of our stories have been included as Notables in Best American Short Stories and published in the Journey Prize Anthology. We’ve also been the first publisher of many amazing, emerging writers. New content appears weekly, and we go into print annually with our Retro edition. NO TOKENS is a biannually published journal celebrating work that is felt in the spine. We are run entirely by women and non-binary individuals, and we are dedicated to featuring the words and artwork of all voices of the past, present, and future. We are here to keep stories alive. We are here to make a physical object to hold in your hands. We are paying attention. A PUBLIC SPACE is an independent magazine of literature and culture. It was founded in 2006. In 2017, A Public Space announced APS Books, a press that will further the mission of the magazine to publish uncategorizable work. The inaugural title — Calm Sea and Prosperous Voyage by Bette Howland — will publish in 2018.The mission of A Public Space is to provide a space — in print, virtually, and physically — for readers to discover literature unlikely to be found elsewhere; nurture the development of literary writing by distinctive and diverse voices; and generate a reciprocally dynamic community of writers and readers. We are looking for pieces that are uniquely written, and that take risks, and with every issue we are also curating to find the resonant in the collective. PIGEON PAGES known for its Brooklyn reading series, is expanding into a literary journal publishing prose on pigeonpagesnyc.com. 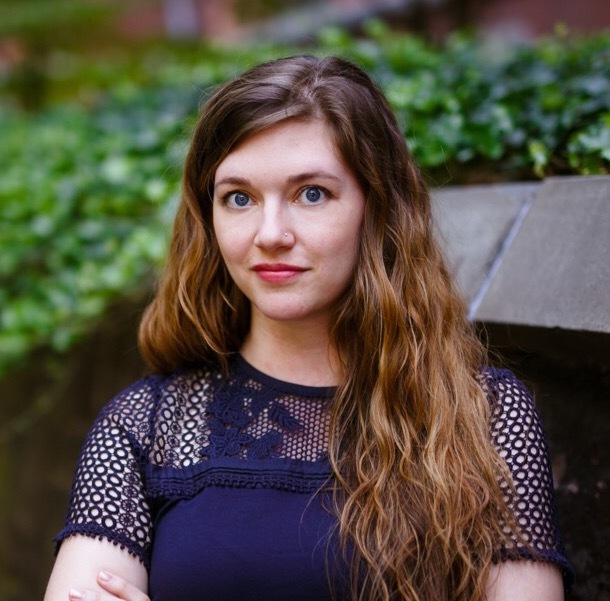 To celebrate our first flight into this new venture, we hosted a prose contest with a cash prize judged by Sarah Gerard, author of the essay collection Sunshine State and the novel Binary Star, which gathered nearly 500 submissions. In widening our literary nest to include publication, we hope to uplift voices who aren’t always encouraged to sing loudly. ALISSON WOOD’s essays, stories, and poems have appeared in places such as The New York Times, Catapult, NY Yoga + Life Magazine, Dovetail, Stillwater, and Salad Days Substance. Currently, she’s a candidate for an MFA in Fiction at NYU where she’s Assistant Managing Editor of their literary magazine Washington Square. 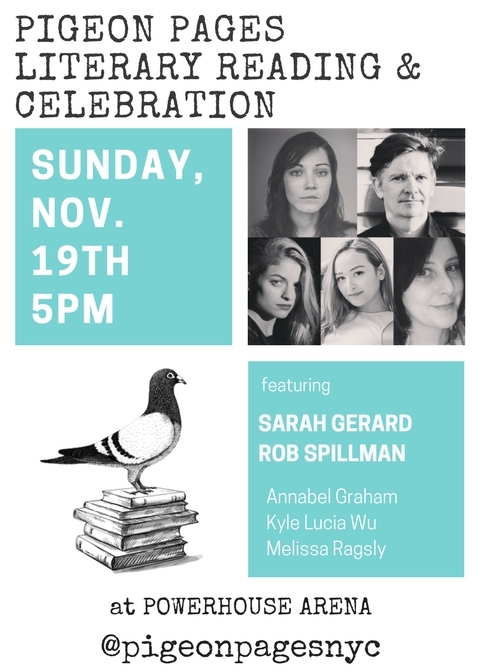 She is the founder and curator of the Pigeon Pages NYC reading series and also serves as editor for the Pigeon Pages Journal. You can find her online at alissonwood.com.